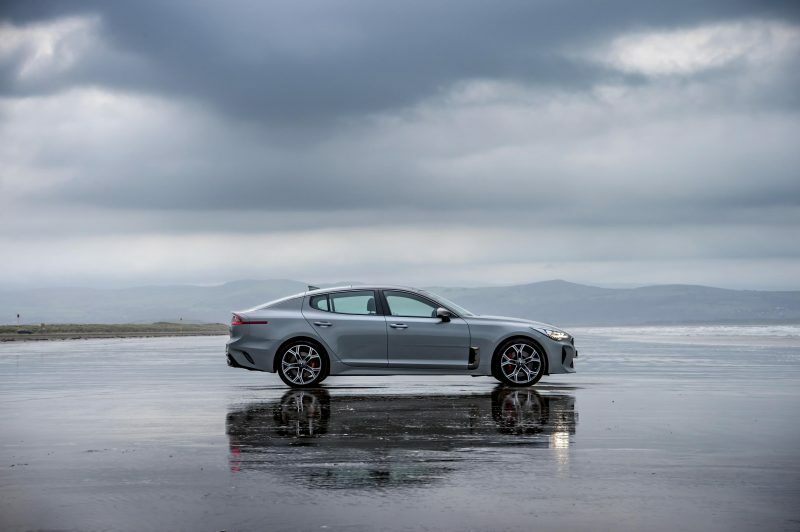 The New Kia Stinger has been a hotly anticipated car, and for good reason. 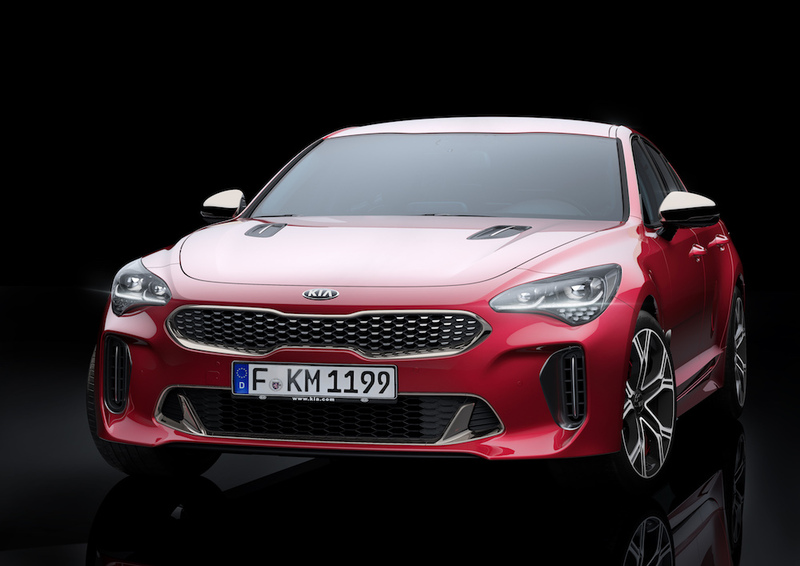 Not only is it the fastest car that Kia has made to date, but it’s also the first crack at making a grand tourer and it’s also the first rear-wheel drive Kia to hit the UK. Add that to striking looks that break conformity and you’ve got a car likely to set the pulses. Luckily you shouldn’t have to wait too long to get your hands on one as it’s now on sale from £31,995. Three trim levels will be available, as well as three turbocharged engines, all of which will be mated to an 8-speed automatic gearbox. 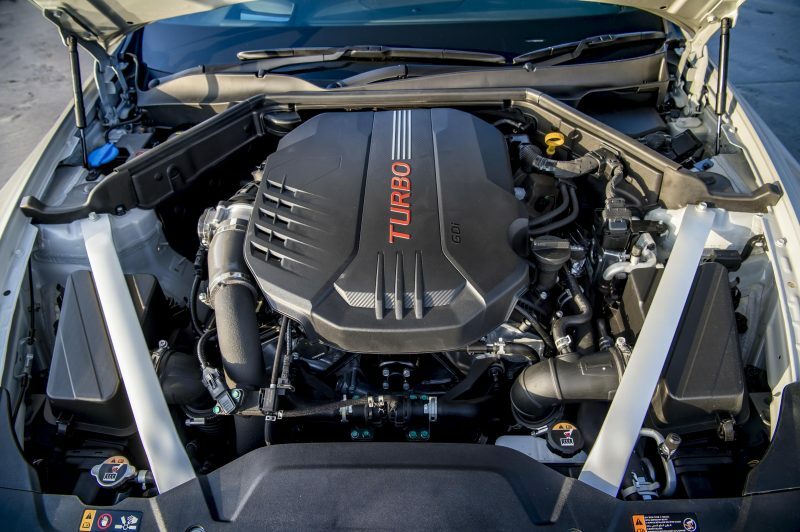 The base model GT Line will be offered with either the 2.0 litre turbocharged petrol or the 2.2 litre turbocharged diesel, with respective power outputs of 244bhp and 197bhp. The same goes for the mid-range GT Line S (priced from £35,495) , meaning the juicy 3.3 litre V6 has been saved for the range-topping GT S (priced from £40,495). With 365bhp on tap, it’s able to hit 60mph in an impressive 4.7 seconds and the top speed is 168mph. 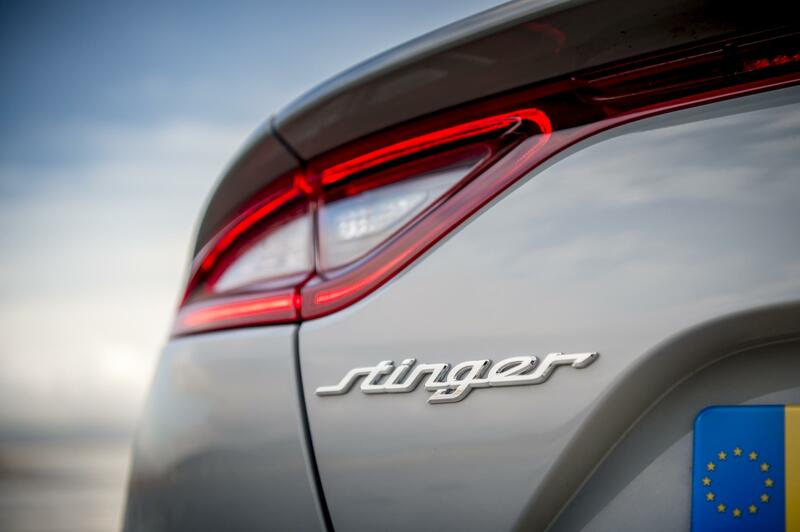 Yes, the Stinger is not here to play games, that’s for sure, its German rivals ought to be concerned. 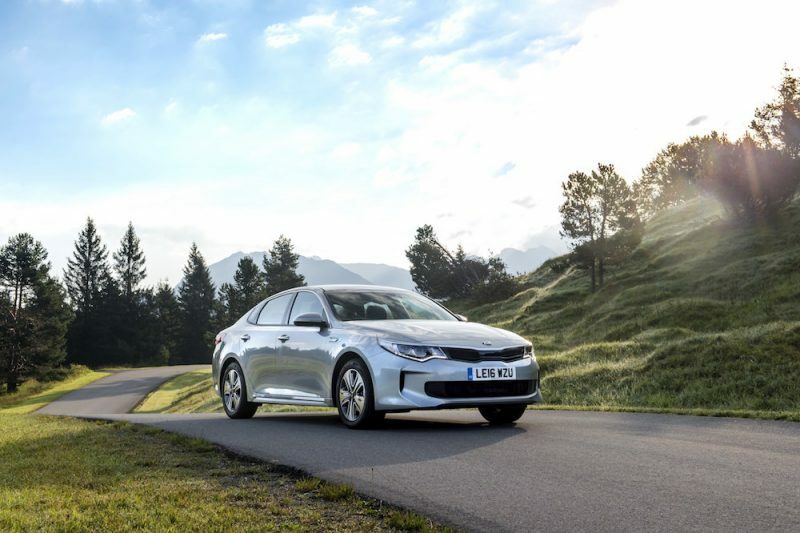 However, if you want something a bit more… economical – and cheaper – you can look to have the 2.2 litre diesel, which offers up to 50.4mpg on a combined run, with 147g/km of CO2. 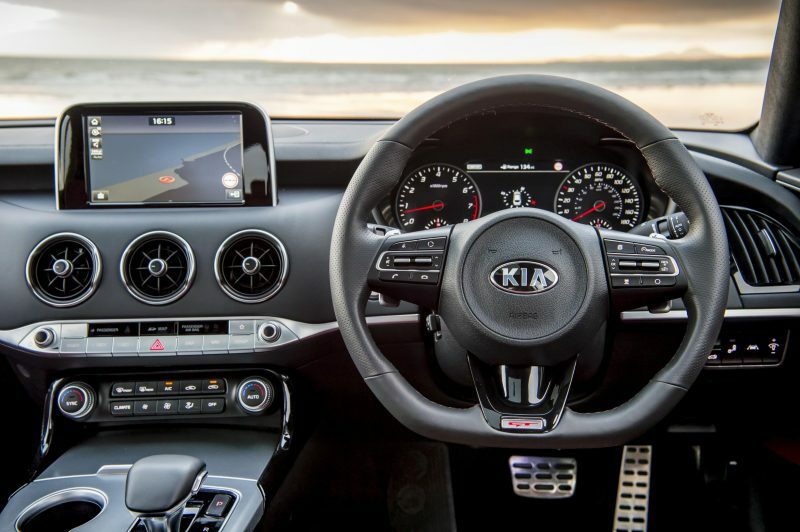 In terms of equipment, the Stinger comes well equipped as all models come with dual zone climate control, 8″ infotainment system with navigation and smartphone connectivity, autonomous emergency braking, lane keep assist, leather seats, and high beam assist. 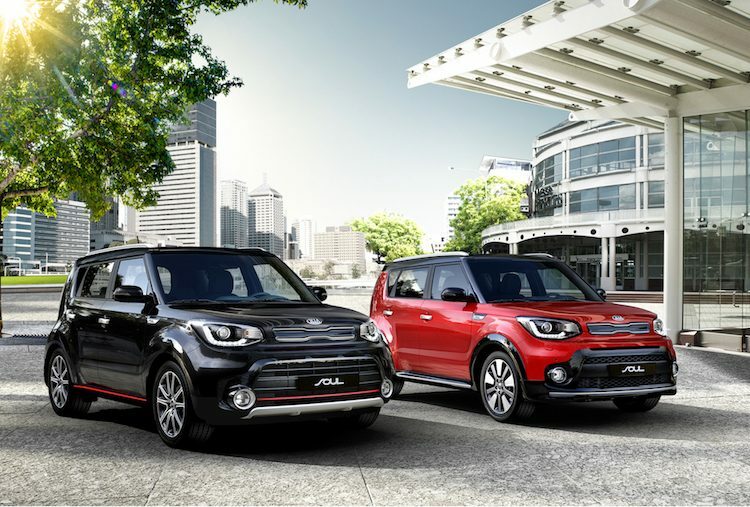 Naturally, you’ll get more kit as you move your way up the ladder of trim levels. For example, both the GT Line S and the GT S received heated front seats as well as heated steering wheel. Blind spot detection with rear cross traffic alert is also present on the GT Line and GT S trims, as is a 15 speaker Harmon Kardon sound system. The GT Line should still offer some good sounds though, as that comes standard with a 9 speaker system including a sub woofer. If you don’t fancy listening to music, you can instead listen to the engine as all models will be fitted with an ‘Active Sound System’, which pumps the engine noise in to the cabin. 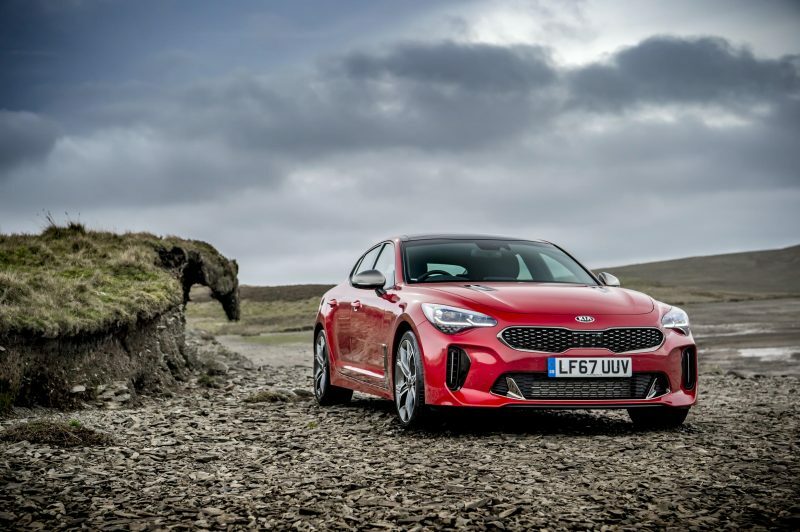 It’s easy to think that the Kia Stinger is just a young pretender in a world where the Germans have been doing this sort of thing for years, but the Stinger appears to have valid credentials. 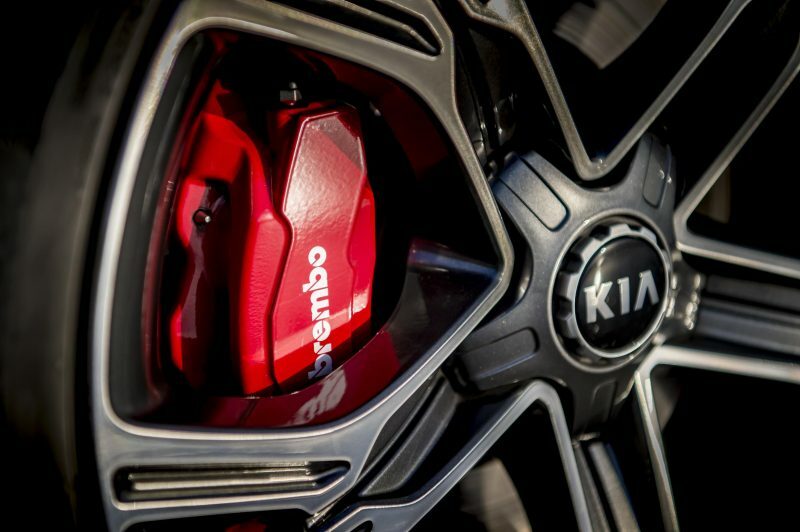 The brakes for the GT Shave been co-developed by Brembo, with 350mm discs at the front, and 340mm at the rear, with both seats holed and grooved to provide high heat capacity with low fade. These will lurk beneath 225/45 18″ alloys for GT-Line and GT-Line S, whilst the GT S receives 225/40 19″ alloys at the front and even wider 255/35 19″ alloys at the rear. 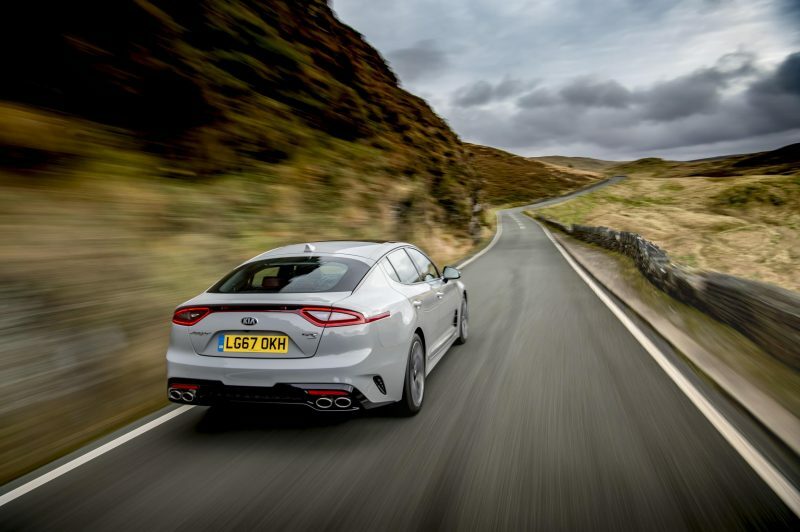 The new Stinger has been developed using some of the best roads in Europe as well as the Nurburgring, so this car should really be the real deal. All versions have fully independent suspension through MacPherson struts at the front and a five-link set-up featuring double wishbones at the rear, but the GT S has adaptive dampers, which can be changed via the driving modes – Normal, Eco, Custom, Smart, or Sport. The GT S also has variable-ratio steering wheel, which can also be altered by the driving modes, The Normal setting requires less turning effort from on-centre, becoming progressively firmer as more lock is added. Naturally, Sport requires more effort to begin with, but the steering will be more responsive and direct. 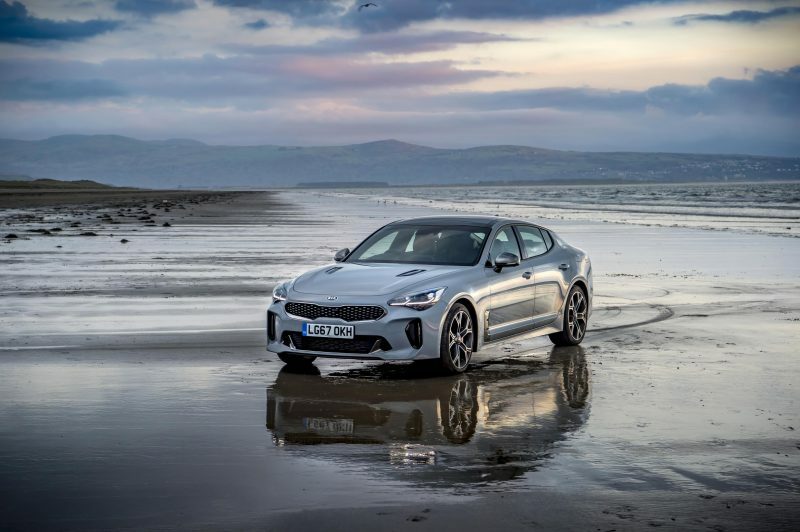 So then, the new Kia Stinger looks to have that what it takes to go toe-to-toe with its European rivals and on paper it looks impressive, but will that transpire on the road? Time will tell. The new Kia Stinger is available to order now, with prices starting from £31,995.